For Bryce Hilliard, a seventh-grader in Virginia, the 2017 International Space Station Research and Development Conference (ISSRDC) cultivated his inquisitive young mind to think big—really big. The conference not only inspired Hilliard to become involved in space research but also motivated him to start a nonprofit space education program. At ISSRDC 2017, Hilliard met Kenneth Shields, director of operations and education and NASA liaison for CASIS, who talked with him about student space research and the Tomatosphere™ program. This fun science education program gives students the chance to participate in real-life space research through a blind germination study. Students learn to conduct a scientific experiment while providing valuable data on the effects of the space environment on the growth of food—in this case, on tomatoes grown from seeds that were flown onboard the ISS. Hilliard was intrigued by the Tomatosphere program because he was already volunteering to help grow tomato plants hydroponically at CEA Farms greenhouse near his home. The Tomatosphere program allowed him to combine his interests in plants, space, and science all neatly into one experiment. As any scientist knows, research can prove valuable even with setbacks. Hilliard received two sets of seeds from Tomatosphere: a control group from the ground and a packet of seeds flown in space. Growing in a greenhouse, the seeds faced a harsh winter of cold temperatures. When a heater ran short of fuel, it resulted in low tomato plant survival rate, and Hilliard’s findings weren’t as complete as desired. However, before the freeze, he was able to observe interesting results between the control group and the seeds flown in space. He has since restarted the experiment and is sharing the process with his community. A keynote address given by Elon Musk at ISSRDC 2017 also inspired Hilliard to travel to Cape Canaveral in February 2018 to see SpaceX launch the Falcon Heavy rocket that carried a red Tesla as a payload. 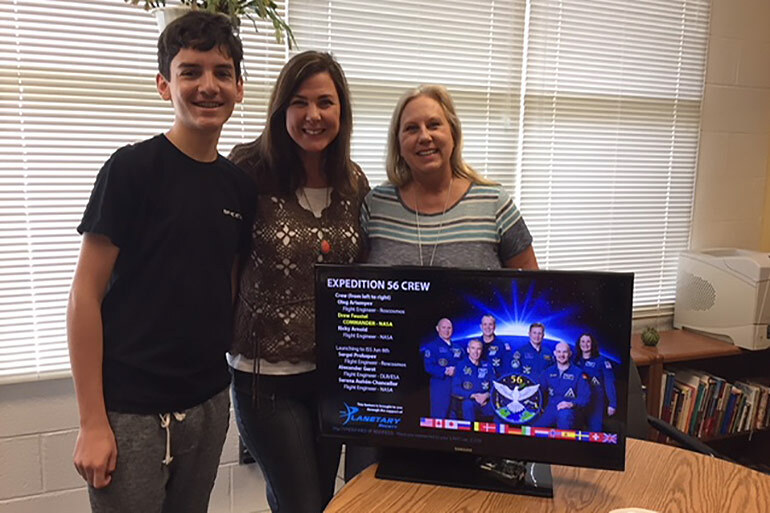 Hilliard shared these experiences with his friends and found that many were not knowledgeable about the ISS or the SpaceX Falcon Heavy launch. Being scientifically minded, he polled more students and found his initial findings to be common. This compelled him to find a meaningful way to share the excitement of the ISS and space in general with other students. Hilliard is now in the initial phase of starting Space Dreamers, a nonprofit space education program. The nonprofit’s mission is to bring space science to students across the U.S., light a spark in students and teachers, and encourage them to explore and learn about space every day. To do this, Hilliard will create space station kiosks for use in public areas in schools. Each kiosk will teach students about the ISS and inspire them to dream big! 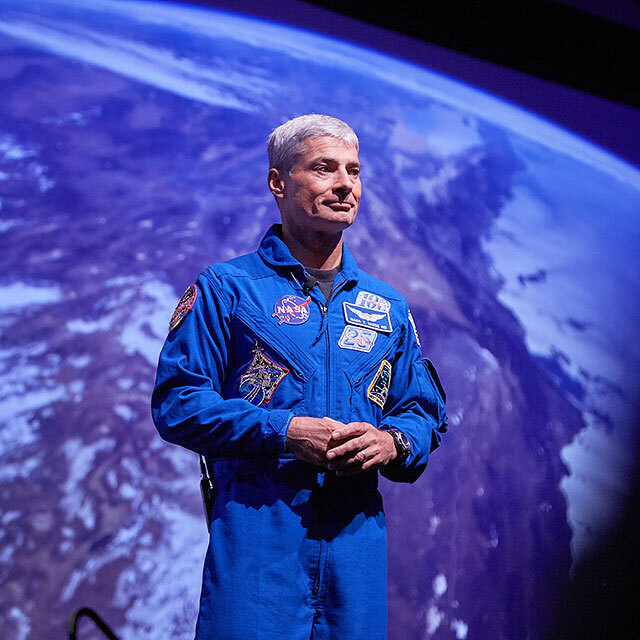 Hilliard also hopes the kiosks will serve to broaden students’ views of our planet by giving them a live view of Earth from the ISS, through the use of a large-screen TV and an ISS-Above, a single-board computer that calculates the location of the ISS at all times. Hilliard would also like to incorporate into the kiosks aspects of the Tomatosphere program and the Story Time From Space program, in which ISS crew members read books to students from space. To make his nonprofit goals a reality, Hilliard is working with government, private, and school organizations to gain funding. As a Space Station Ambassador, he hopes to expand programs at the schools each year. Hilliard attended ISSRDC 2017 as part of the conference’s student outreach program, through which students learn about the latest research taking place onboard the ISS as well as careers in science, technology, engineering, and mathematics. ISSRDC 2018 will be held July 23−26 in San Francisco. Students, parents, and educators are invited to attend the STEM Day on Thursday, July 26. Learn more about ISSRDC here. Follow Bryce Hilliard on Twitter @spacedreamers1 and instagram spacedreamerz.